Ok friends as promised today I've got some fun to share with you!! The Core'dinations gals and I were challenge to do a project with as many embossing folders as we could fit. I have never counted how many embossing folders that I have, like most of us I just bought ones that I love along the way. I was shocked to discover that I own almost 70, Oh my!! 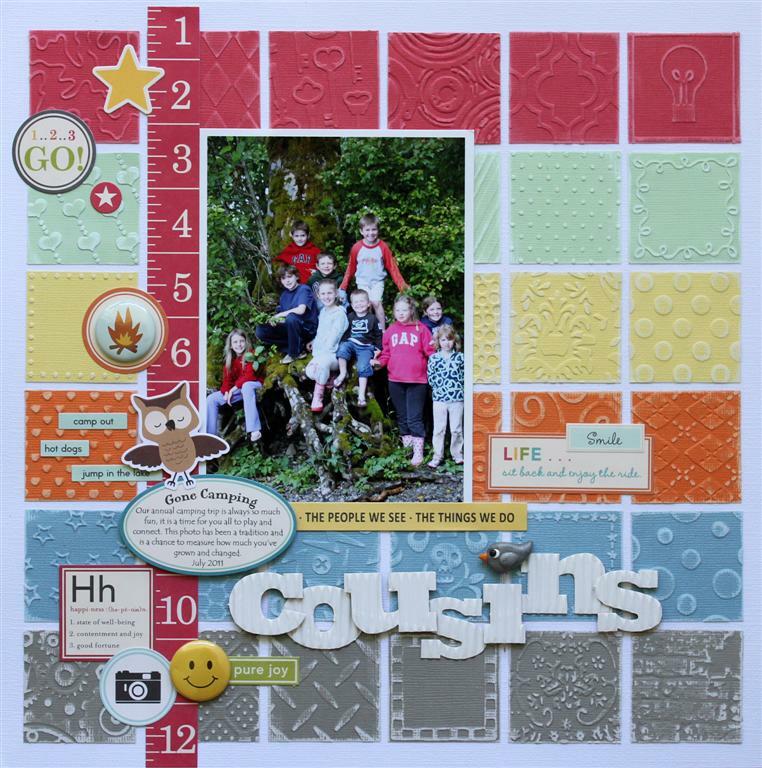 So I set to work creating this fun filled layout that uses, count em, 30 embossing folders!! The best thing about this was that is was a FABULOUS use of scraps, the whole thing was created with bits and pieces from my scrap pile, the only whole piece of paper was the back ground. This was also a great use of all those OA Stickers that I have, as you all know I have a weakness for OA. My collection was getting a little out of hand so I am making an effort to reach for them and not horde them. What are you challenging yourself with right now? Give this challenge a try it was so much fun!! my new fav of yours I sooooooooooooooooooooo love it , the design, colours and embossing are just amazing!!!!!! !